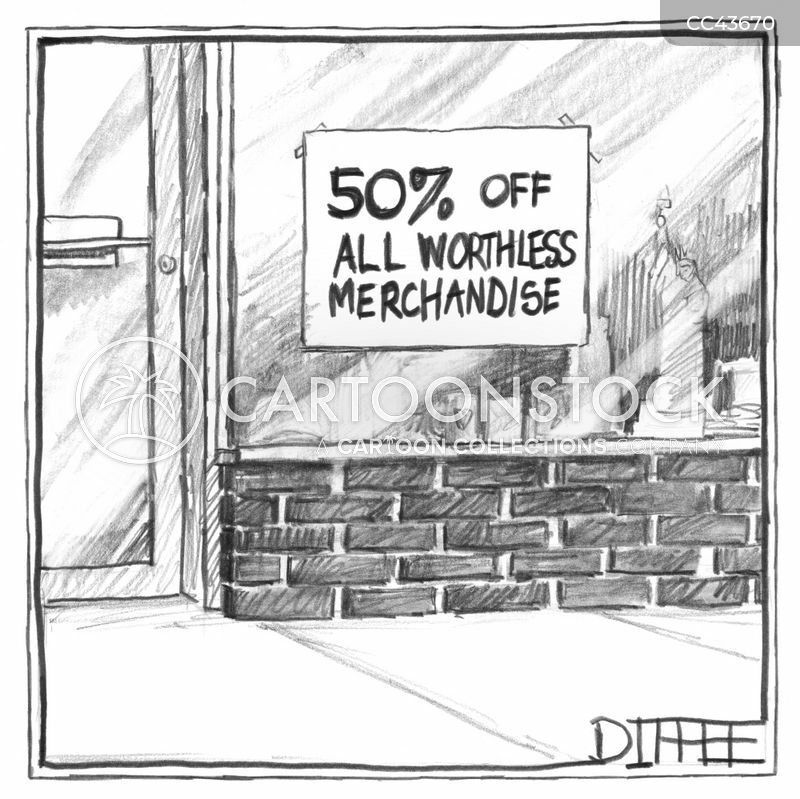 Sign in the front window of a shop that reads "50% off all worthless merchandise". 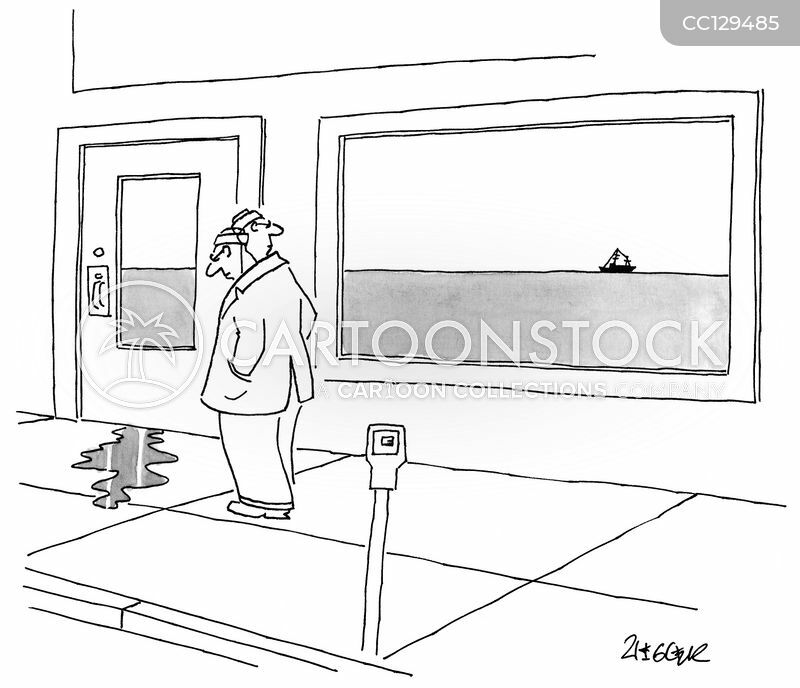 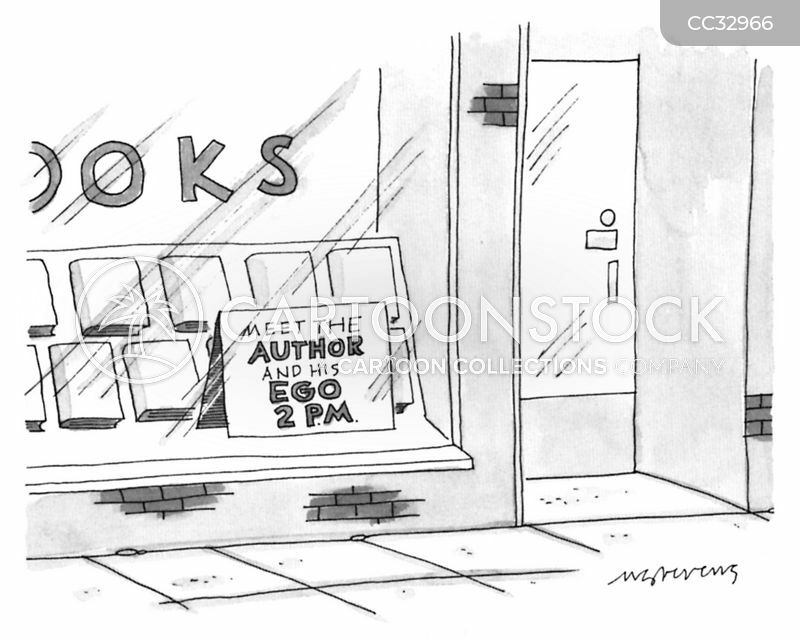 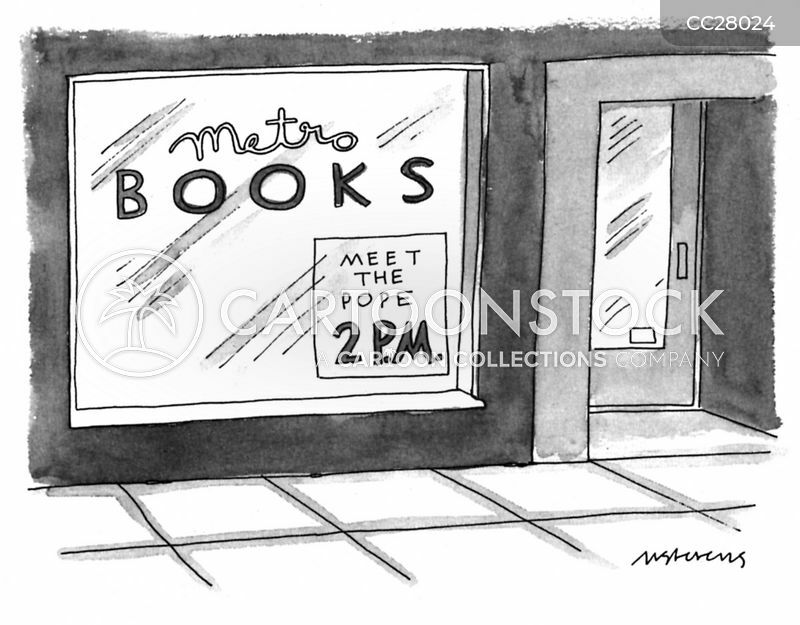 A sign in the front window of a bookstore says "Meet the Pope 2 p.m."
A man walking down the street notices water leaking out from under a door, and then sees a boat on the water on the horizon through the display window. 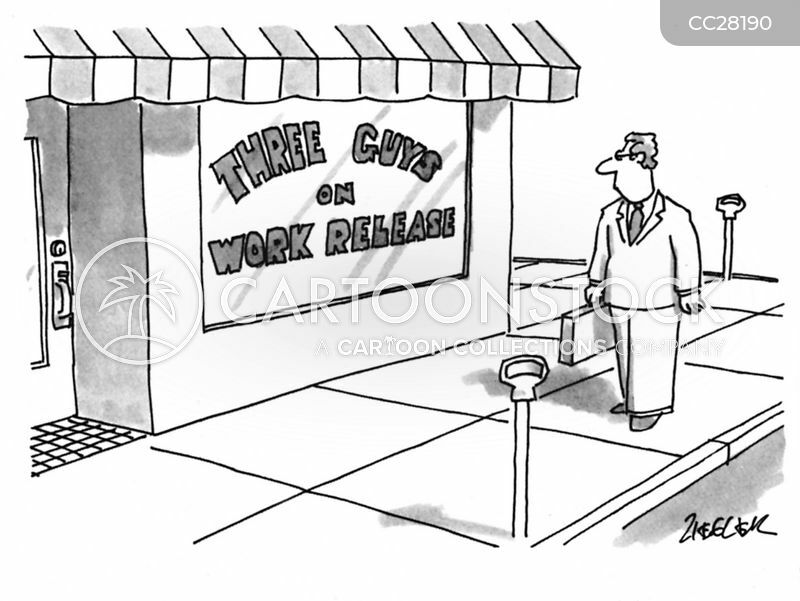 Man looking at a storefront that reads "Three Guys on Work Release". 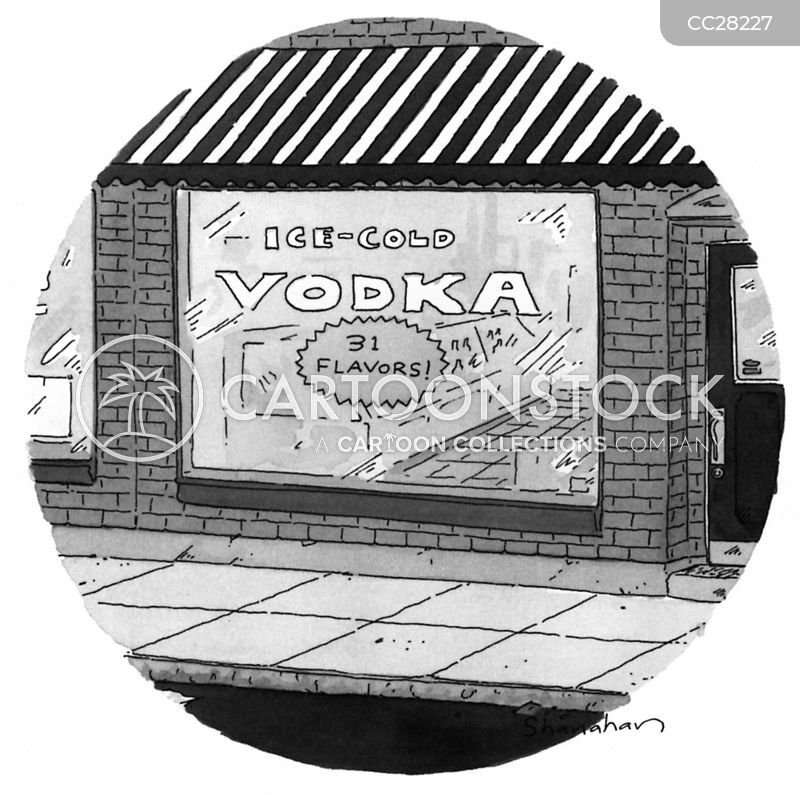 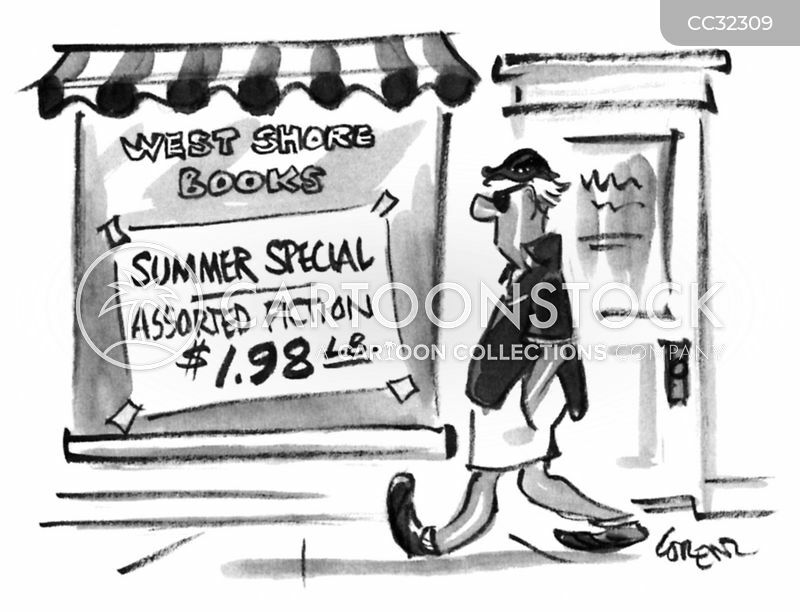 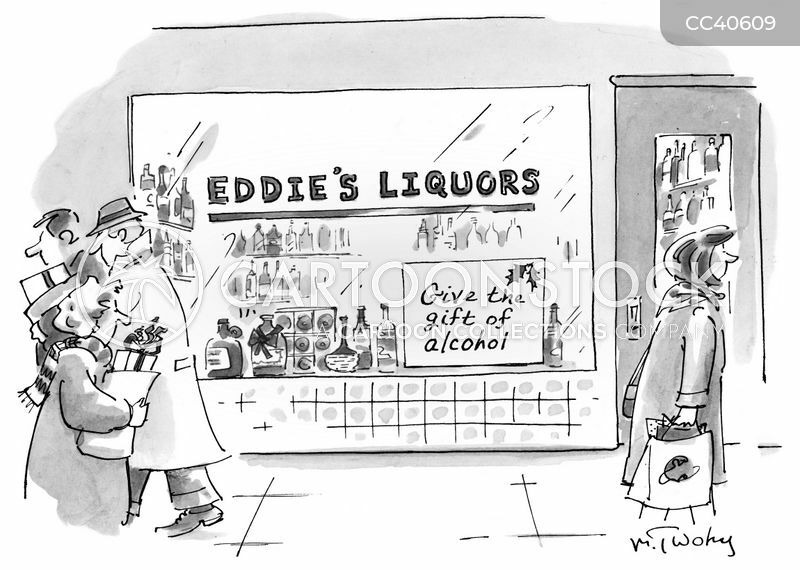 "SUMMER SPECIAL—ASSORTED FICTION $1.98 LB." 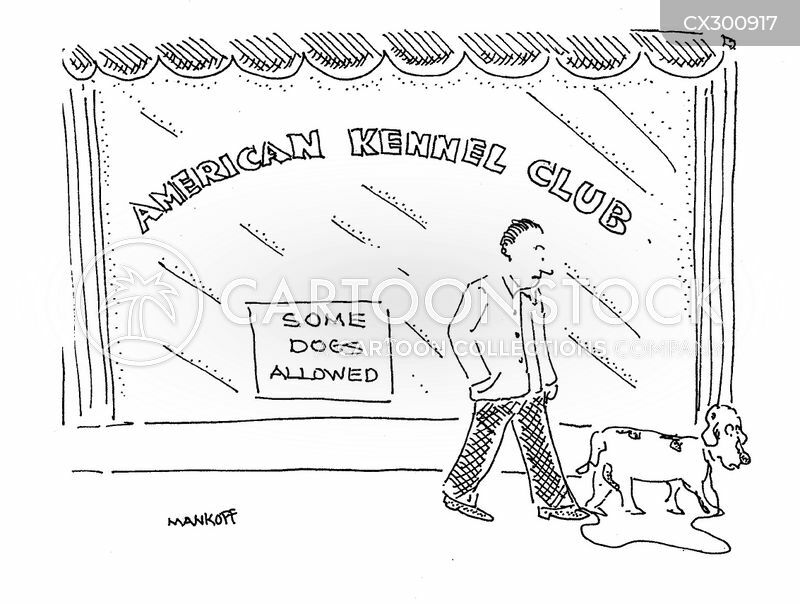 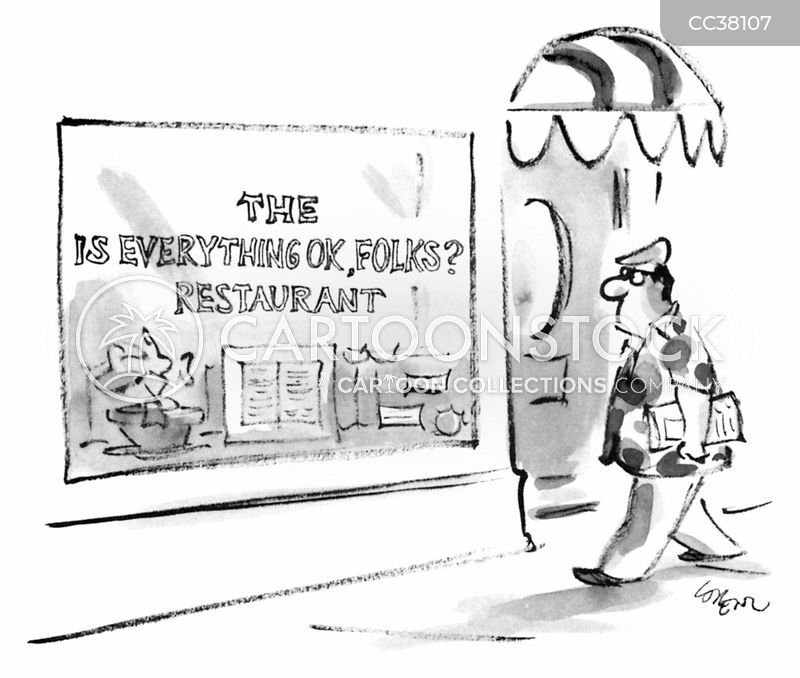 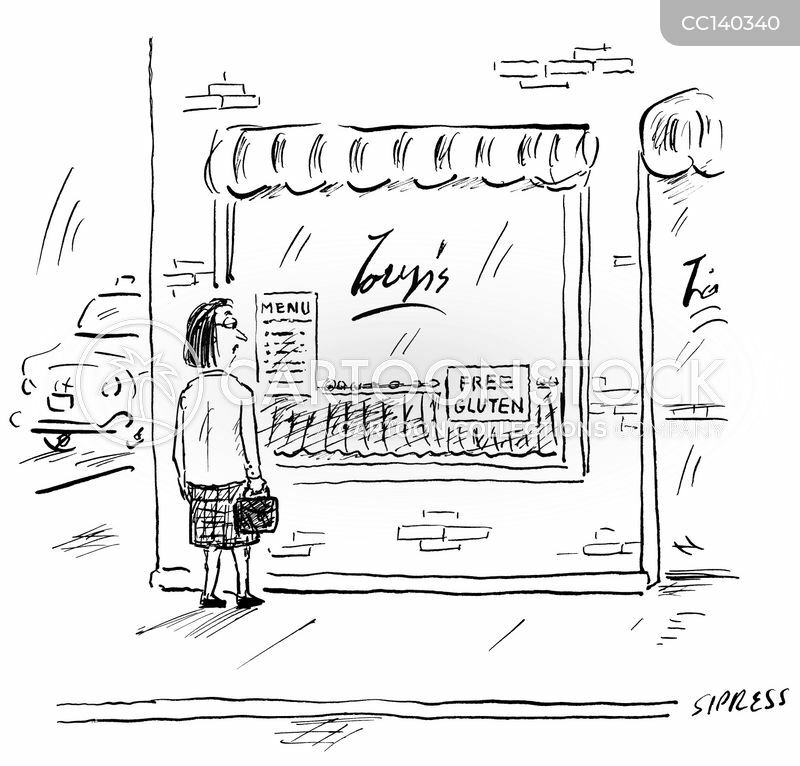 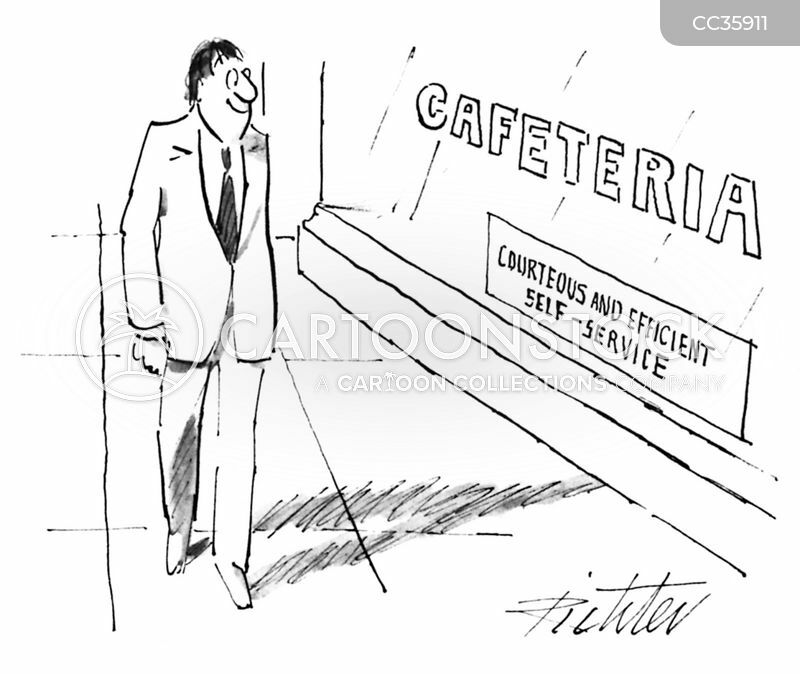 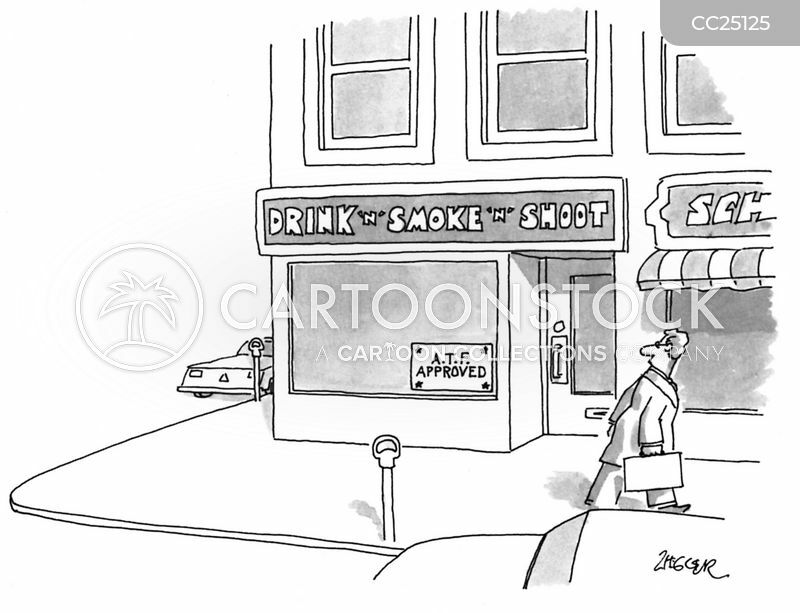 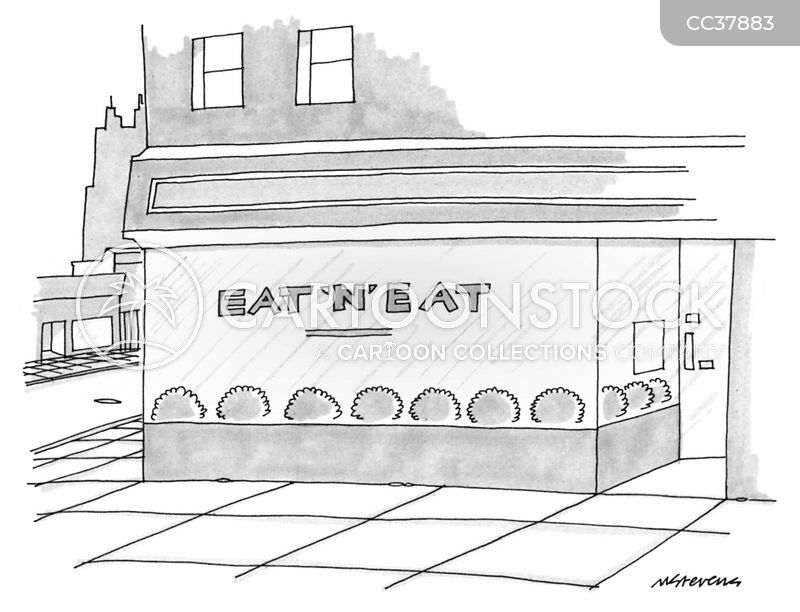 A man walks past a cafeteria that has a sign in its window that reads, "Courteous and Efficient Self-Service". 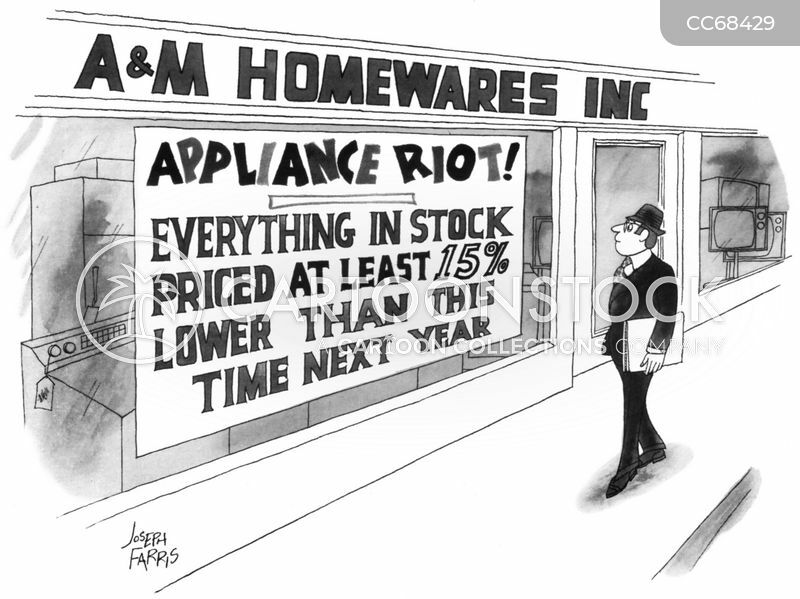 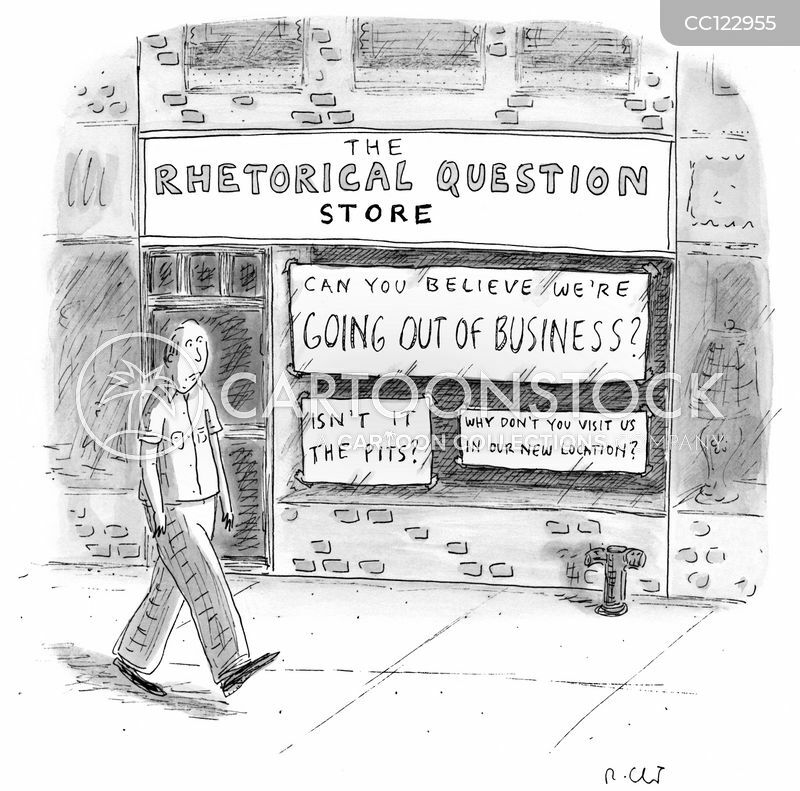 A man walks past a homewares store that has a large sign in the window that reads "Appliance Riot! 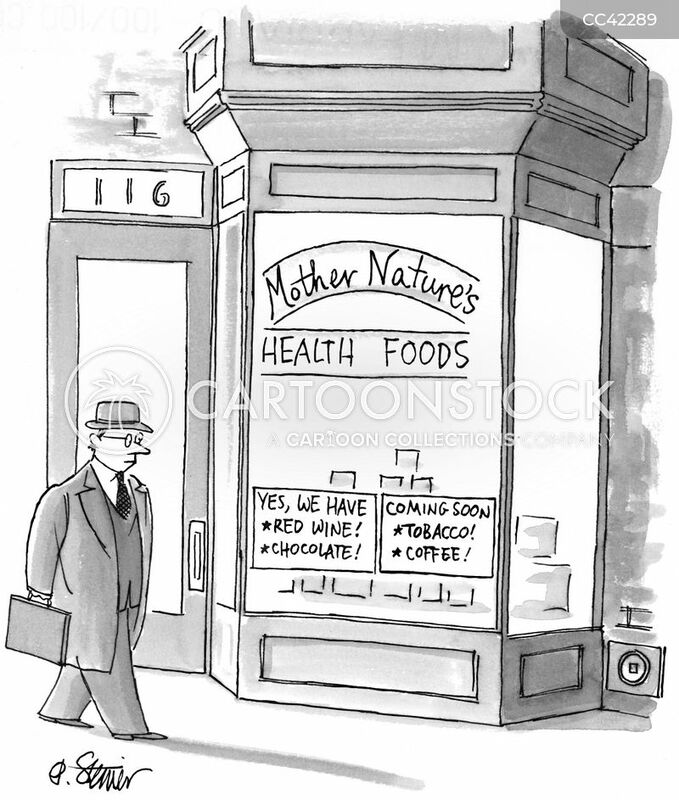 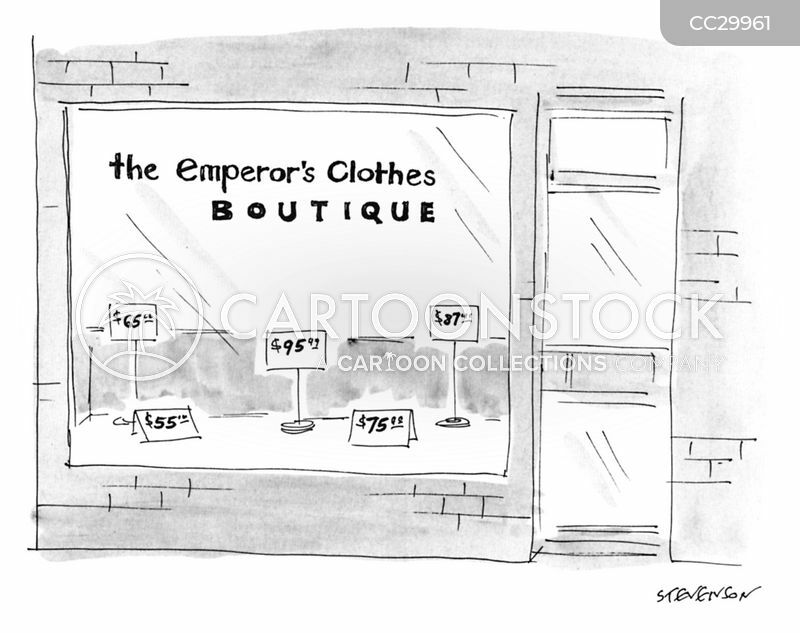 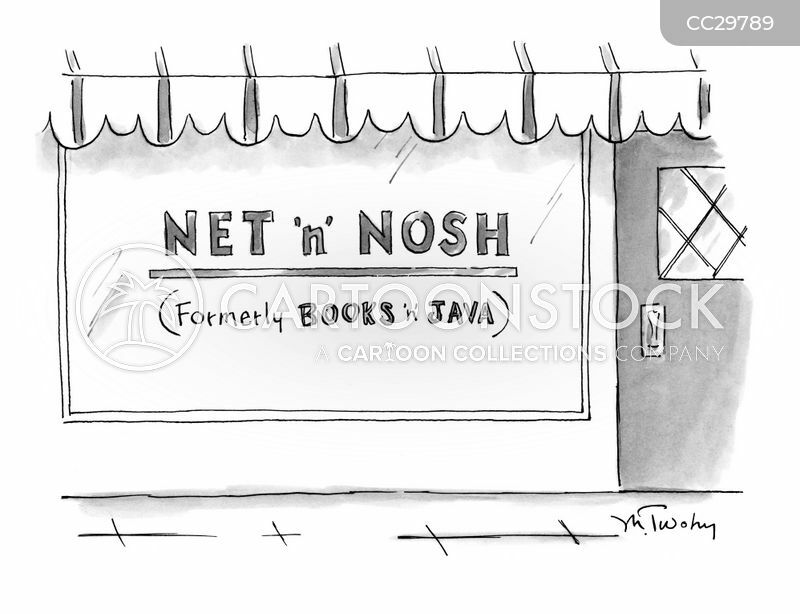 - Everything in stock priced at least 15% lower than this time next year". 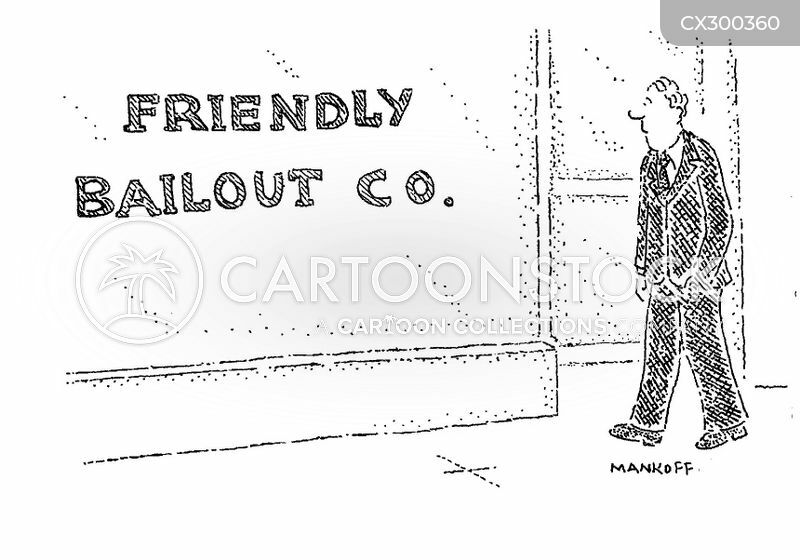 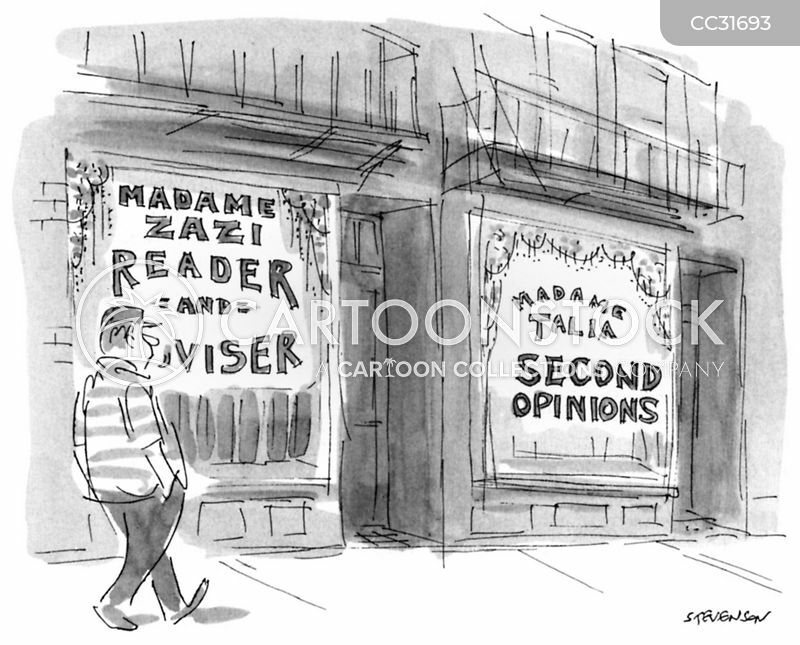 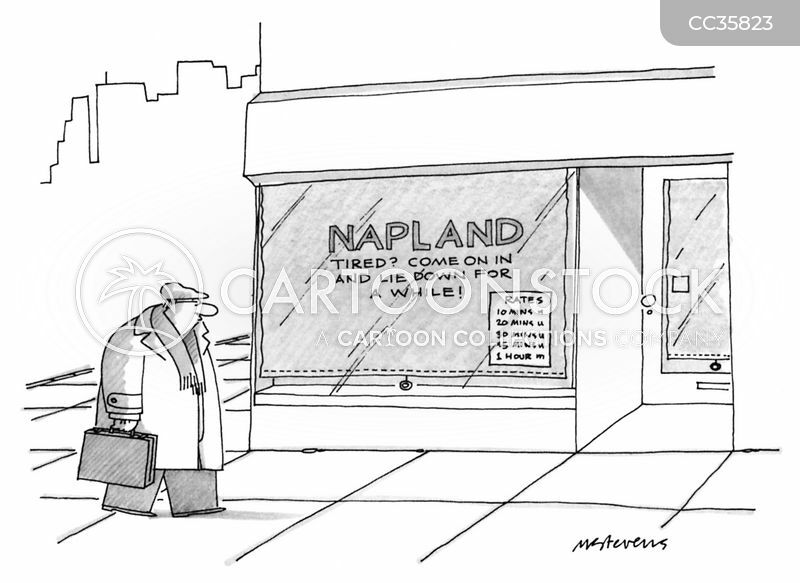 Man passes a storefront that reads "Napland - Tired? 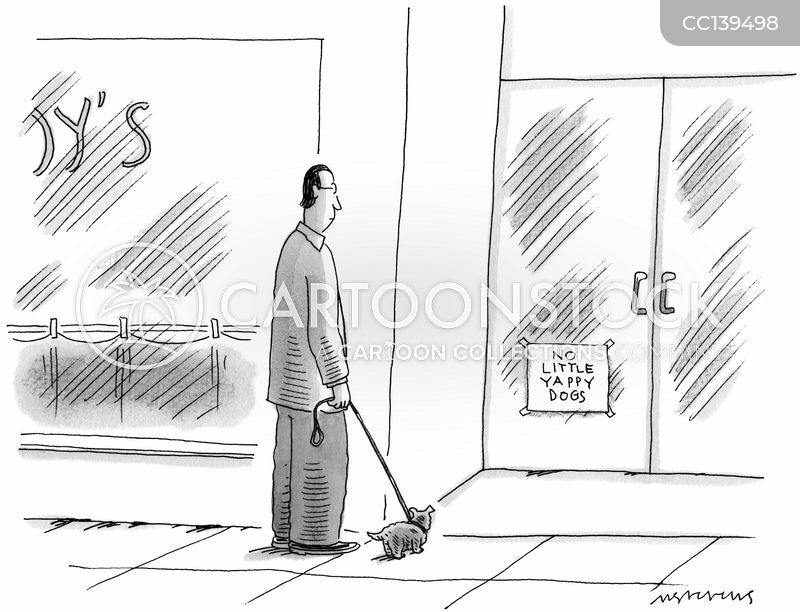 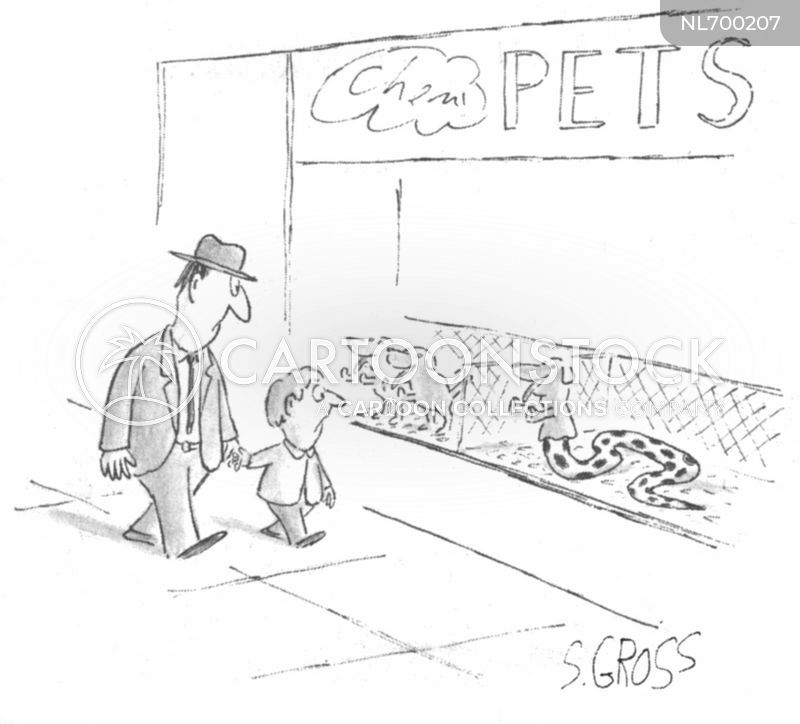 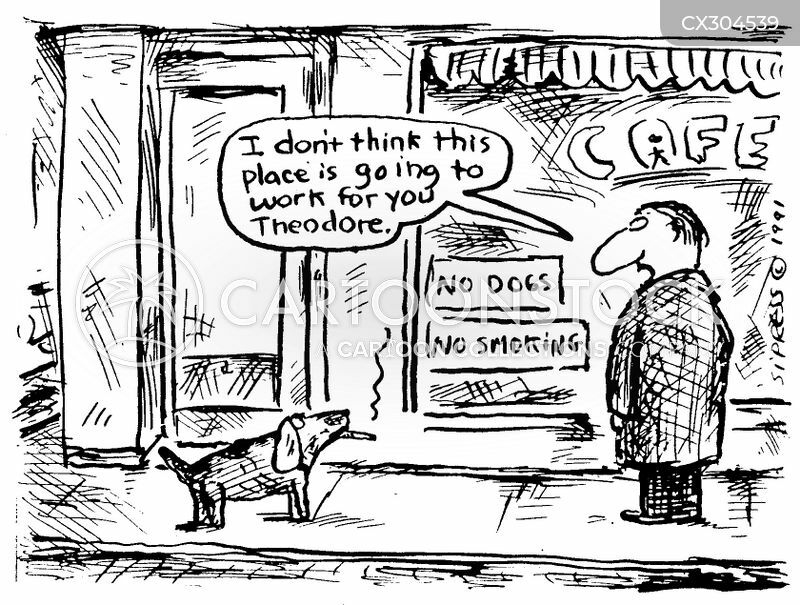 Come on in and lie down for awhile!"